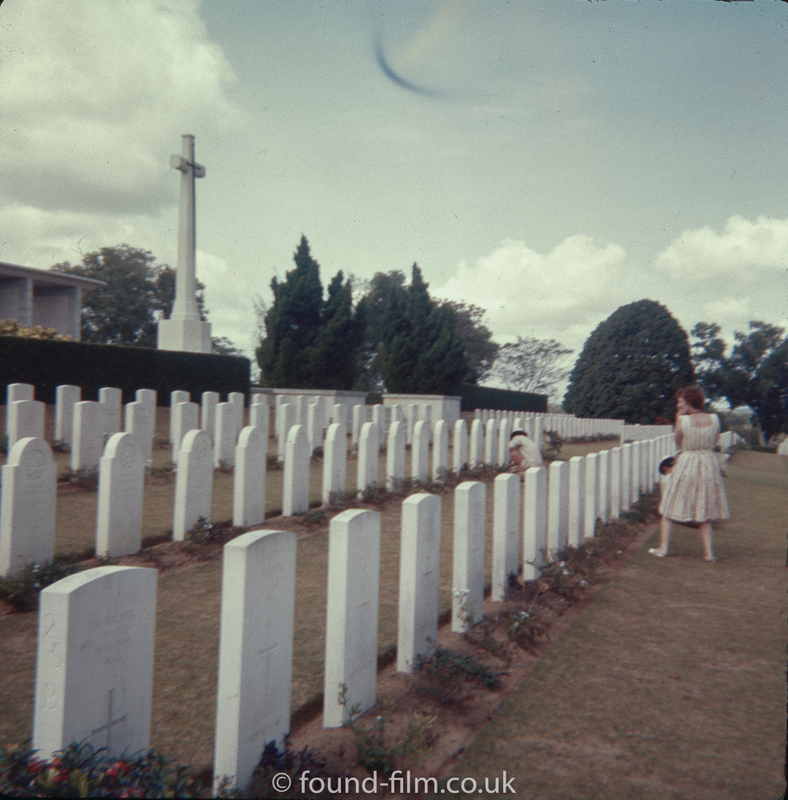 This is a picture taken at the Kranji War memorial in Singapore, sometime in the mid 1960s on medium format 127 colour slide film. There is a dark blue mark shown in the sky on this picture which may be the result of sun reflections in the lens, or could be damage to the actual film. Unusually this picture is slightly soft focus which is out of keeping with most of the rest of the pictures in the series. They were all taken by a serving RAF officer stationed at the RAF Seletar base, and the majority have been very well exposed and focused. My thanks to Geraldine Soh who pointed out the precise location in the comments below.